One of the keys to a happy high school and young adult experience is learning how to balance life between school, family, and friends. It is a great idea as a young adult to find fun and interesting activities to participate in. 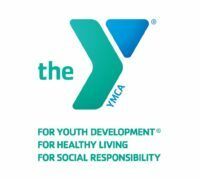 Below are links to various program guides and activities which are for young adults and teenagers right here in Sonoma County. Boys and Girls Club vision is to end poverty in Sonoma County. They have over 150 programs have been developed to ensure kids will grow up to achieve academic success, choose healthy lifestyles, and develop good character. They Boys and Girls club aims to enable all young people to reach their full potential as productive, caring, responsible citizens. The Sonoma State EXCEL Program is a collection of interactive classes in science, technology, and the arts on the campus of Sonoma State University for students between grades 4-9. These one and two week summer classes have been running continuously since 1982 and over 21,000 thousand students have participated. Check it out! Santa Rosa JC Concurrent Enrollment Program is designed to provide a current high school student, who is enrolled in the 9th grade or above, the opportunity to get an early start on their college experience. This program provides enrichment opportunities for high school students who can benefit from college level instruction. To find more information visit their website! An absolutely amazing program for high school juniors in Sonoma County! The goal of Tomorrow’s Leaders Today is to expose these students to the various aspects of their community, helping them to explore potential careers following post-secondary education. High school juniors interested in developing their leadership skills, exploring potential careers, and learning more about how communities work and how citizens participate to shape and improve them should check out their Website! The goal of the Upward Bound Program is to academically prepare low-income, first-generation college students to enroll and graduate from the four-year college/university of their choice. UBSC is for students interested in humanities majors such as history, English, sociology, psychology, philosophy, art, liberal studies, teaching, etc. UBSC serves students attending these ten partnership schools: Elsie Allen High School, Healdsburg High School, Rancho Cotate High School and Santa Rosa High School. The mission of Chop’s Teen Club is to provide a safe, fun, and productive place where Sonoma County teens engage, connect and discover their true potential! They offer various programs that are dedicated in helping teens strive for a better tomorrow. Check out their website for more information on their programs! Public Health Professionals helps connect students with opportunities to begin and advance their careers. With predicted growth rate, California is an excellent place for new students to begin careers in public health. The Public Health Organization offers internships, fellowships, and scholarships for California students pursuing public health degrees. Nothing to do over the summer? 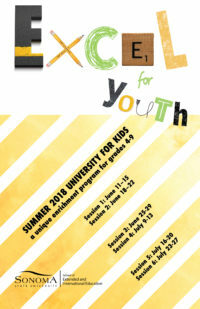 Well Sonoma County Library are hosting events for youths who are interested for some summer fun! They are offering free lunch, henna tattoo sessions, solar carnivals, etc…. If you are bored check out the website for more activities that you could be having this summer. A key part to both a successful high school experience and life is community service. It is likely that you have heard this from a host of individuals—your parents, teachers, counselors, relatives, and peers. Community service not only benefits our shared community and offers intrinsic rewards (feeling good about yourself), but it also looks great on college and scholarship applications. For a student or individual interested in community service, he or she should examine their personal interests and hobbies. For instance, if you are someone who likes working with children, perhaps you would be best suited for volunteering with an afterschool program for young children. On the other hand, if you are fascinated by history, then you would be better suited for volunteering at a local historical site. Down below you will find organizations that are always in need for volunteers. This is a great start when wanting to get involved with the community. LSP-SC is a group founded from grassroots community efforts and relies heavily on volunteers to successfully operate. As such, LSP is constantly seeking new volunteers and interns who are looking to improve their local community for all. We are looking for highly-motivated people who are interested in making a difference in the lives of others and working towards a better community and county for all. LSP is particularly interested in attracting youth volunteers as a way of ensuring that LSP will remain a successful and effective community-based nonprofit for years to come. If you are interested in potential internships and volunteer opportunities please feel free to contact LSP OR visit our volunteer section to fill out the volunteer form. Do you love kids? are you passionate about helping other reach their educational or life long goals? Well, the boys and girls club are always in need for volunteer. Kids beginning 6th grade can volunteer and assit with programs, camps, and general homework help. Call at 707-528-7977 for more information. An internship is a temporary position in which the intern works for the organization or entity. Often, such unpaid internships count as community service for awards and college applications. However, these internships are often not advertised and hard to come by. The first step for an individual interested in finding an internship should be to compile a list of organizations or businesses that they think they would be interested in working for. Then, see if these groups have websites, and if so, look for any information regarding internships on their websites. If you can’t find any information, it is strongly recommended that you call the group/organization and ask if they offer internships. More often than not, internships are not posted online because the group wants only the individuals who are motivated enough to call or email the group directly about a possible internship. Down below you’ll find some organizations that may have internship opportunities. Interested in writing? Journalism? News? This is the perfect place to look for internships! 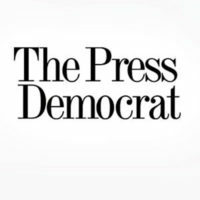 The press democrat is always looking for those who enjoy challenges and a good article. They are currently offering a college student for Summer 2018. Interested candidates must submit a cover letter and resume to hr@pressdemocrat.com. For more information on the internship visit down below. 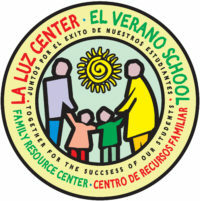 La Luz provides English language training and financial support services, teaches computer skills, distributes food, hosts medical and legal services, offers crisis counseling, and supports events that celebrate the multicultural richness of the community. Currently offering a community engagement internship. For more information call 707-938-5131. During the teenage years, many individuals begin to take an interest and even start to manage their own health and wellness. This personal responsibility is a great step for most teenagers, helping them be better prepared for adulthood. The first step to successfully managing your health is to be informed. So, we here at LSP-SC have compiled a list of various guides and links which hopefully will help you stay properly informed about a host of health-related issues and tips of advice. Remember that being healthy and happy not only benefits you, but also your community as a whole. SAY offers mental health services in schools across Sonoma County, including in the Santa Rosa City Schools District, Sonoma Valley Unified School District, and Cloverdale Unified School District. These services include brief interventions, assessment, treatment, and referrals. Check out their website if you wish to learn more about their services. SAY also offers The Dr. James E Coffee House Teen Shelter which is open 24 hours a day, 365 days a year providing a respite for families in crisis and family reunification services for runaway and homeless youth and their families. They provide short-term shelter, food, counseling, and referrals for youth and their families. Are you ever need of food? Well Petaluma and Rohnert Park center give free food on Mondays from 9:00 AM – 11:00 AM. No question or paper work needed for this free service! This is a great way to get the nutrition you need and to get some great food! Make sure to take your reusable bags! They also offer free health services! check out their website for more information or stop by if you have any health concerns! Each year VOICES serves 2,000 youths that are getting ready to transition from foster care, group homes, mental health, and probation to a life of adulthood. They currently have locations in Napa and Sonoma County. Their Program brings together partnering agencies to provide housing, education, employment and wellness services to transitioning youth, ages 16-24. Have any Summer plans??? Well, if you don’t checkout Chops Teen Club activity guide that will give you a booklet of fun activities that you could be joining during this summer! They are currently offering Athletic, music, art, culinary, etc activities!! Check out their guide for more summer fun! It is a widely-known fact that college is very expensive these days, and often will leave students with significant amounts of debt upon their graduation. To help offset some of this debt, a student could apply for scholarships from outside organizations. Not only do these scholarships help pay for college, but they also in a sense are like awards that you receive and show a college that you are a qualified applicant. Remember that it’s not always the money value of a scholarship that’s important, but its merit value. Below are some links to different scholarship guides that will help you in your search for potential scholarships. 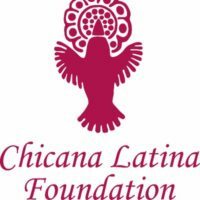 Each year the Chicana Latina Foundation awards merit-based scholarships to Latina college students, valued at $1,500 dollars each. This year they awarded 31 scholarships, so be sure to check it out! 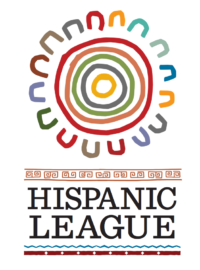 Here is a list of scholarships compiled by the Hispanic League that are designed to help Latinos and Hispanics pay for college. List of qualification are listed under their website. Check it out! GoodCall offers many tips and resources for writing or interviewing for the perfect scholarship! They also have a list of awesome scholarships that you could apply to! Check out their website for more information and for scholarships! 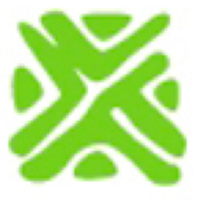 Scholarships.com was founded in 1998. Scholarships.com aims to help students find money to finance their education as well as learn about the entire financial aid process it takes to pay and finance college. They offer a wide variety of scholarships for all gender and ethical groups. Get ready to search for some scholarships! 10,000 Degrees is a wonderful organization whose mission it is to achieve educational equity, and support students with need to access and complete higher education to positively impact their communities and the world. Check out their services and scholarships available! Niche is a platform that helps students find scholarships and resourceful information that are helpful when building their careers. Niche helps people find their perfect school, job, or scholarships! Check out their website for more information and qualifications on scholarships. Offers scholarships for those who wish to pursue a career in the medical and public health services. Currently they are offering scholarships for those interested in Nutrition, Physical Education and Culinary arts scholarships. Check out their website for more information. Founded in 1975, the Hispanic Scholarship Fund empowers Latino families with the knowledge and resources to successfully complete a higher education, while providing scholarships and support services to as many exceptional Hispanic American students as possible. Check out their website for more information on deadlines, qualifications and opportunities. 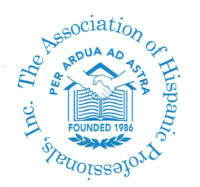 The Association of Hispanic Professional Inc. aims to raise funds to create and provide scholarships to the Hispanic community. They are dedicated in providing a medium by which Hispanic youth can identify with the success and achievement of Hispanics, when education has been the basis of that success. For more information check out their website!